Everything You Need For A Fit Lifestyle. At Steel Fitness Premier, you’ll find a wide range of services and amenities, from the dynamics of group exercise and cardio training to the individualized attention of personal training and the low-impact exercise of senior fitness. Our Allentown gym has it all. We even offer onsite childcare services for our members! Discover all the amazing amenities and services available by signing up for a free 3-day pass and experiencing our fitness center for yourself. 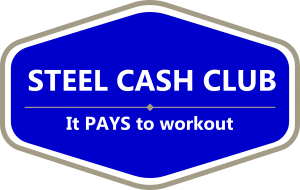 Get motivated and stay accountable with group fitness classes at Steel Fitness Premier! From Daycare while you workout to Sports Training to get your athlete ready to compete! We offer everything you need to maintain your healthy lifestyle in an unintimidating and upscale atmosphere.